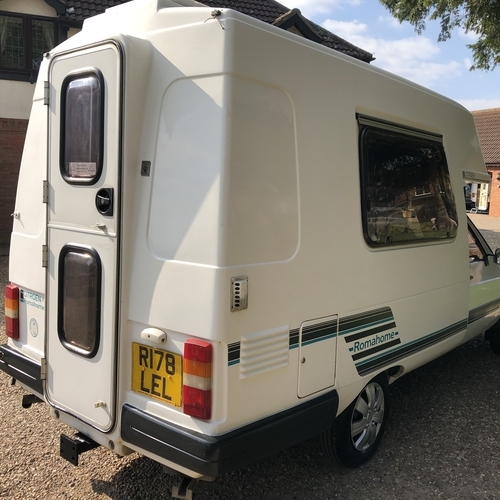 Owned since January 2010 (Over 9 years) by a lady in Devon who recently traded it into a large dealer group who be buy part exchanges from. 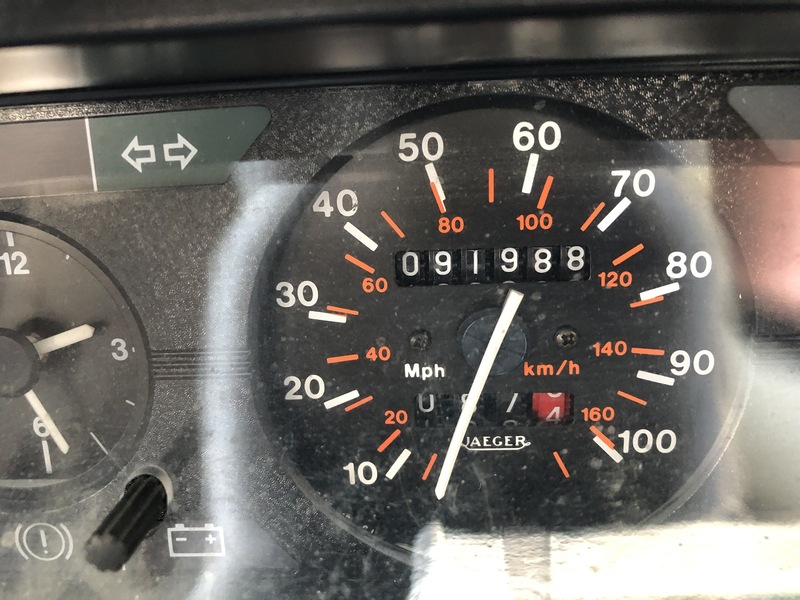 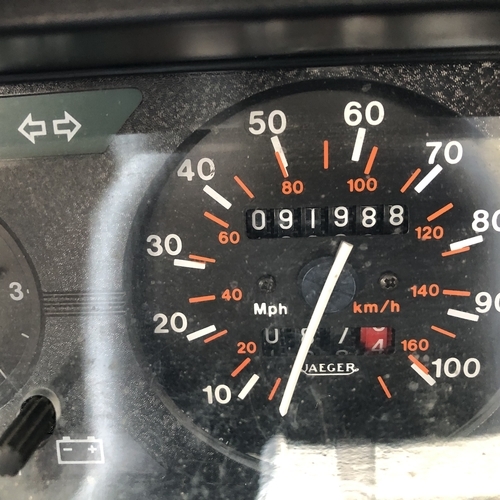 91988 miles with impeccable service history, 3 x cambelt changes recorded in it's life in 2006/2011/2013 (at 71659 miles in 2013). 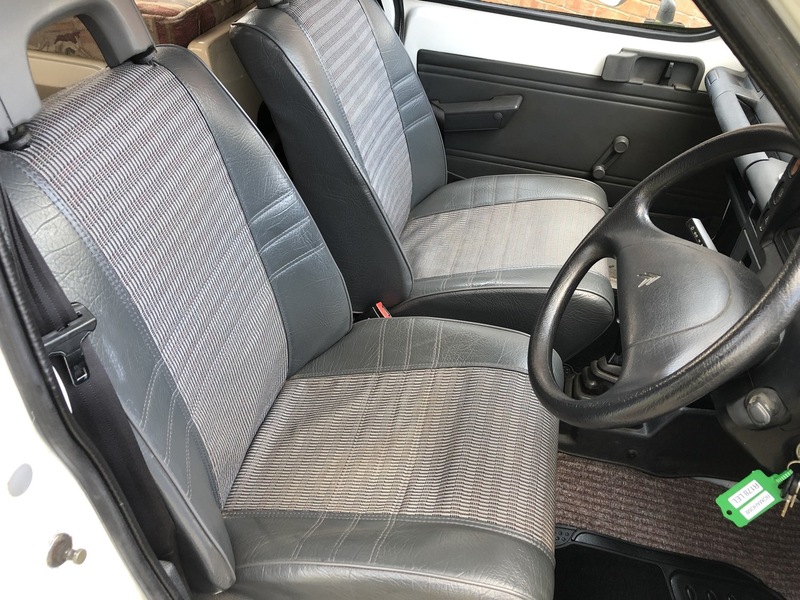 Comes with handbooks, old MOT's, service invoices, 2 x sets of keys etc. 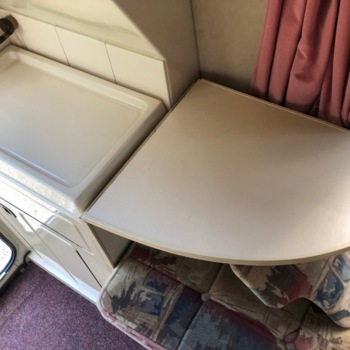 Stamped service booklet until 2011 then service invoices after that, comprehensive service history! 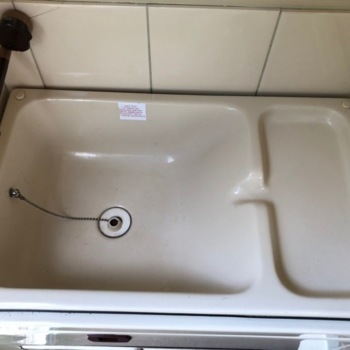 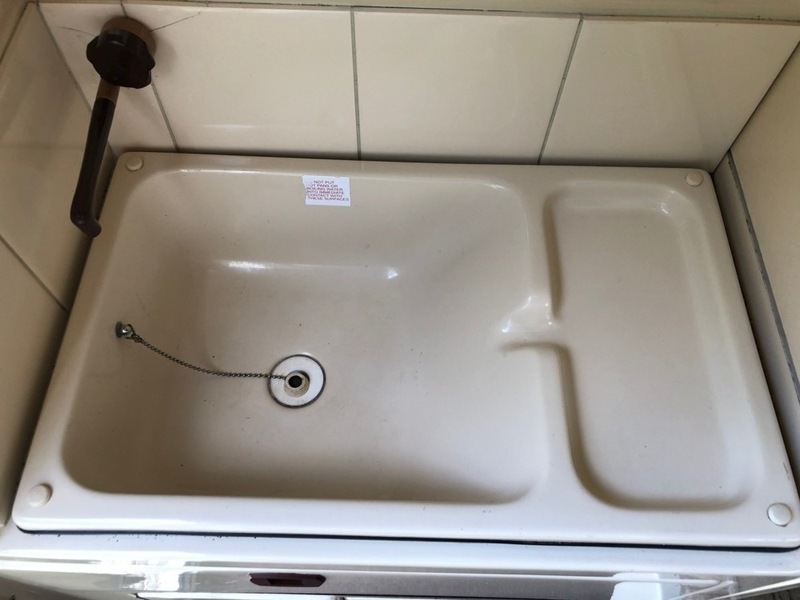 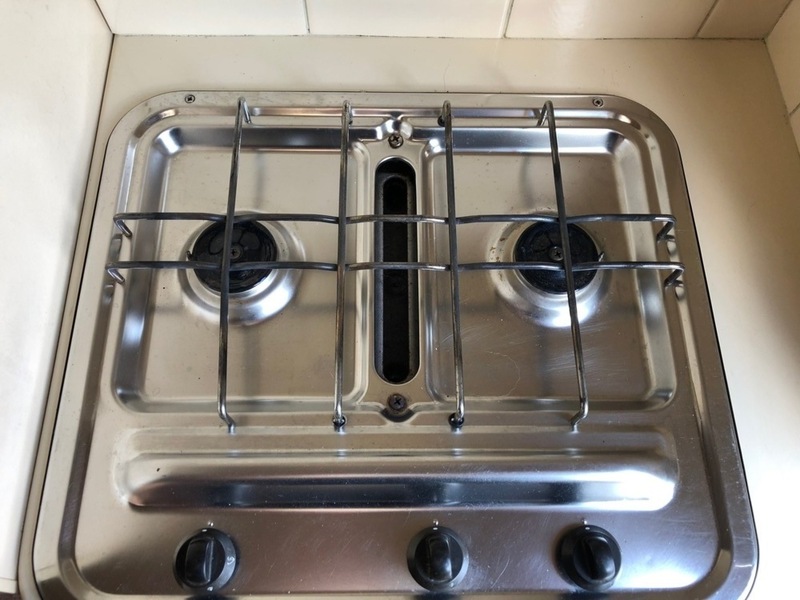 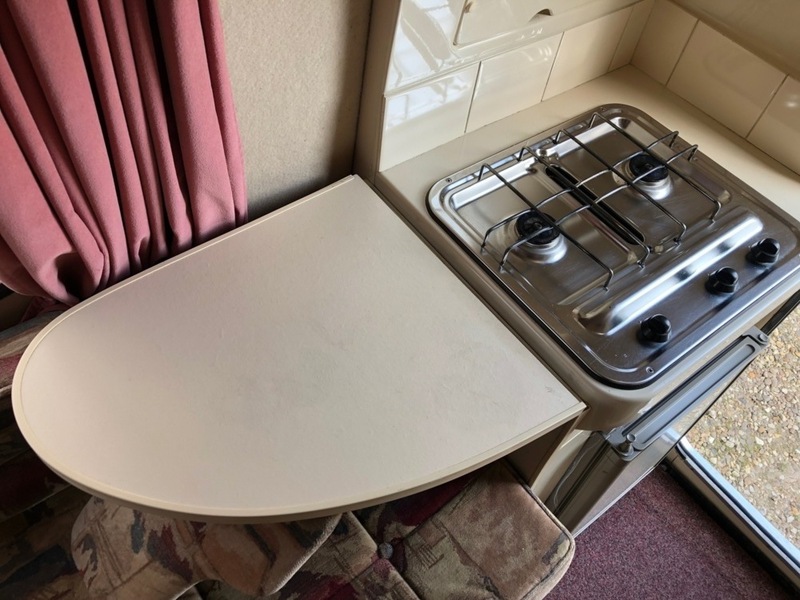 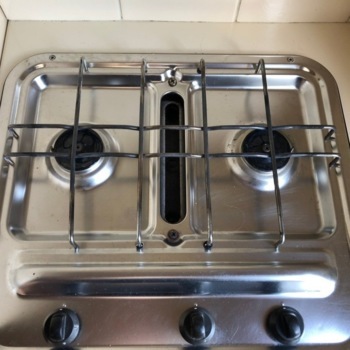 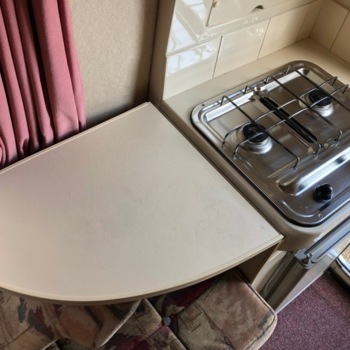 Specification to include: Sink with cold water tap, 2 ring gas hob, gas grill, 12v lighting, leisure battery, fresh water tank, 2 x roof vents, freestanding table, Electrolux 3 way fridge, stable style rear door, wardrobe, Sony CD player, power assisted steering, tow bar prep (just needs tow ball attaching), awning. 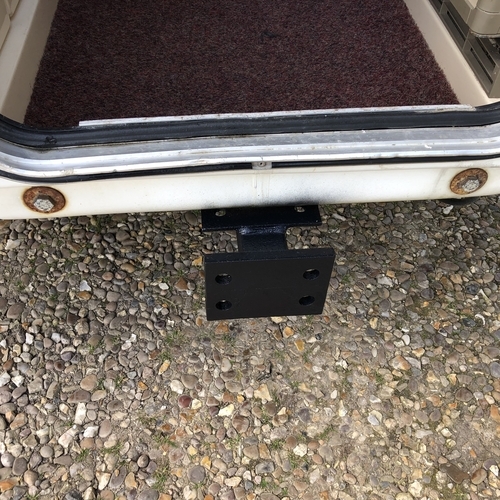 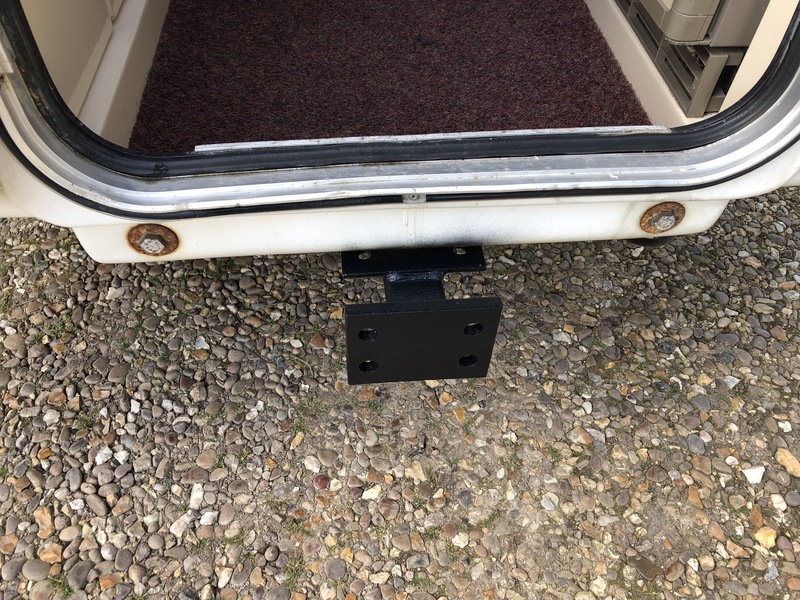 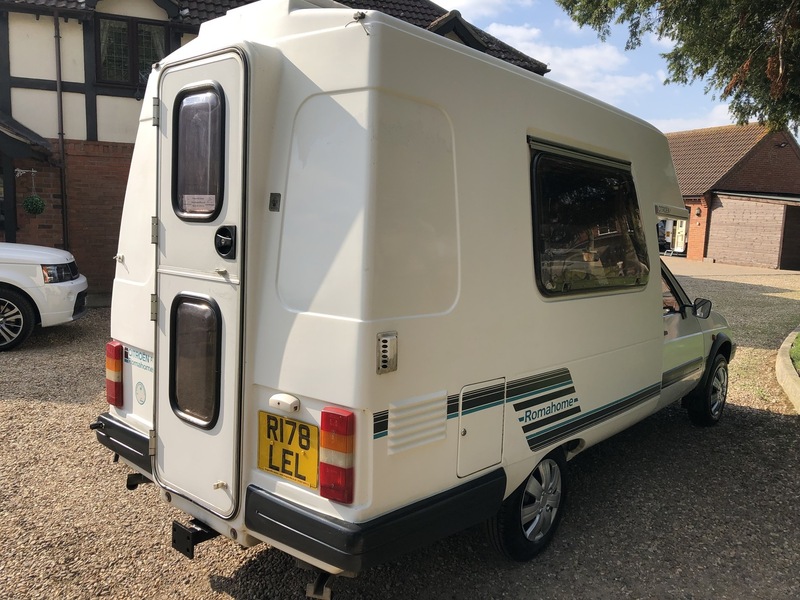 Has current MOT until October 2019 however we are happy to have a fresh new 12m MOT put on the camper along with an engine oil service once sold. 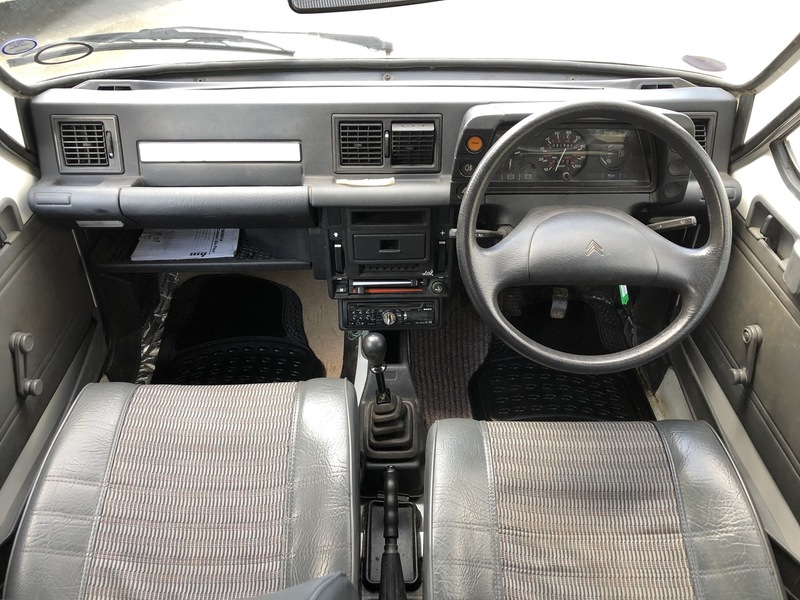 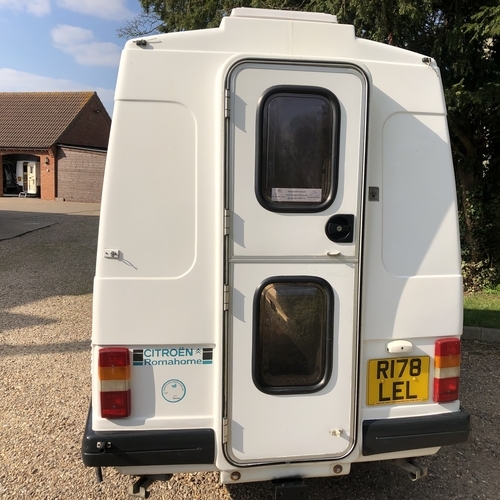 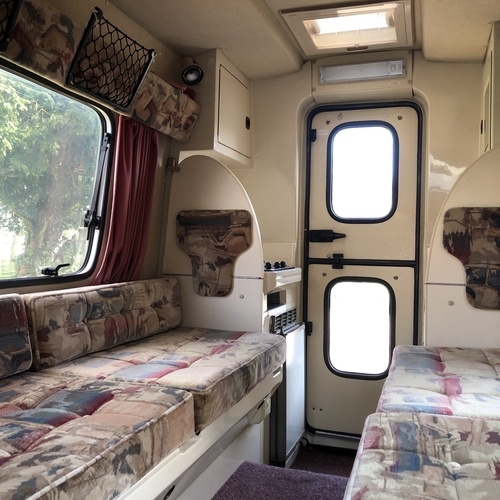 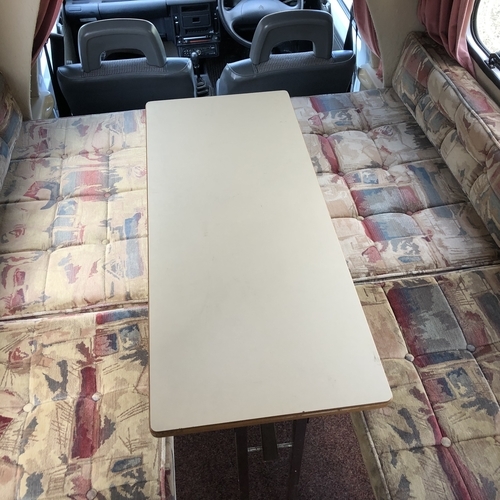 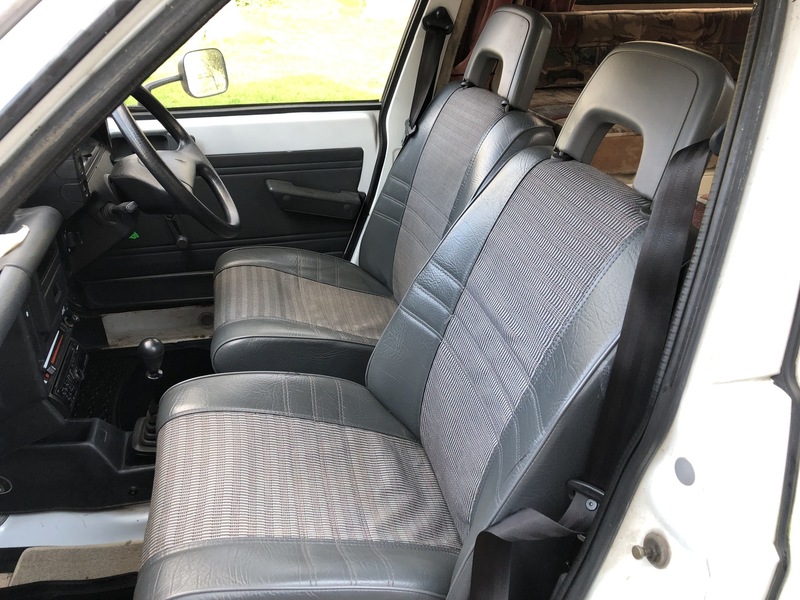 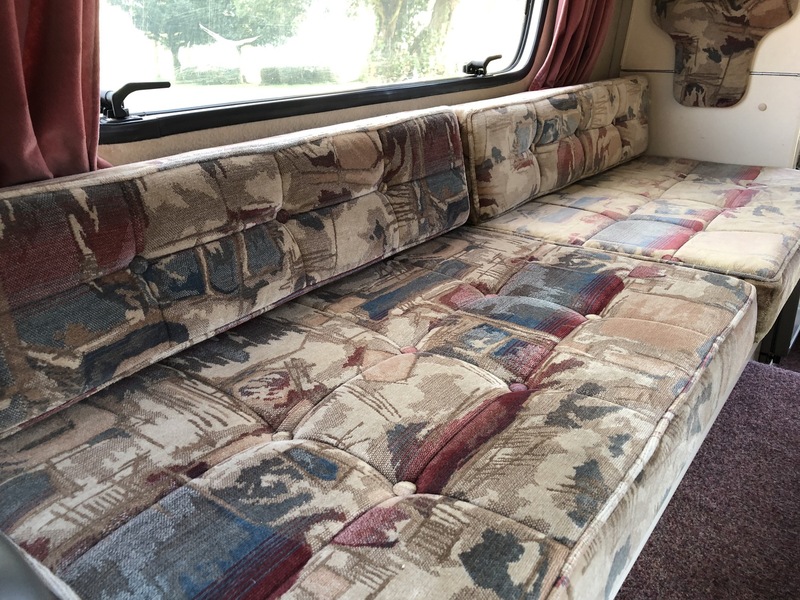 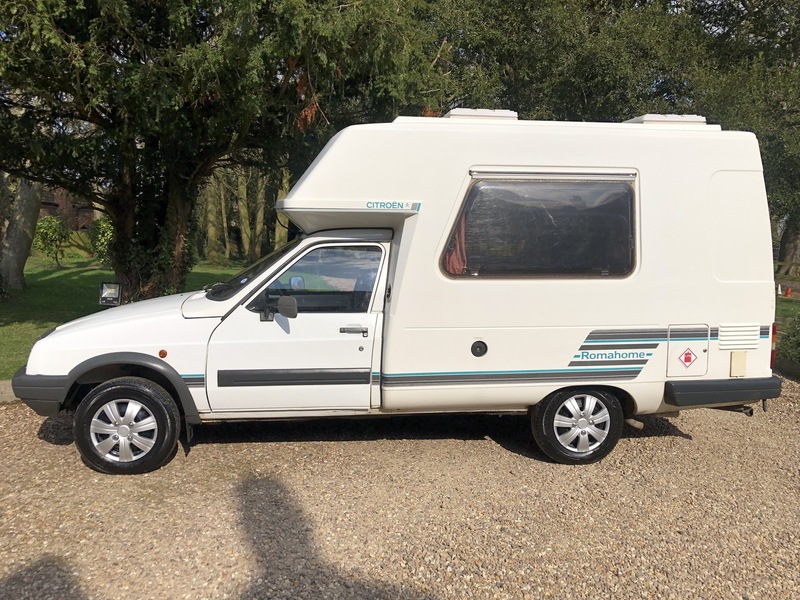 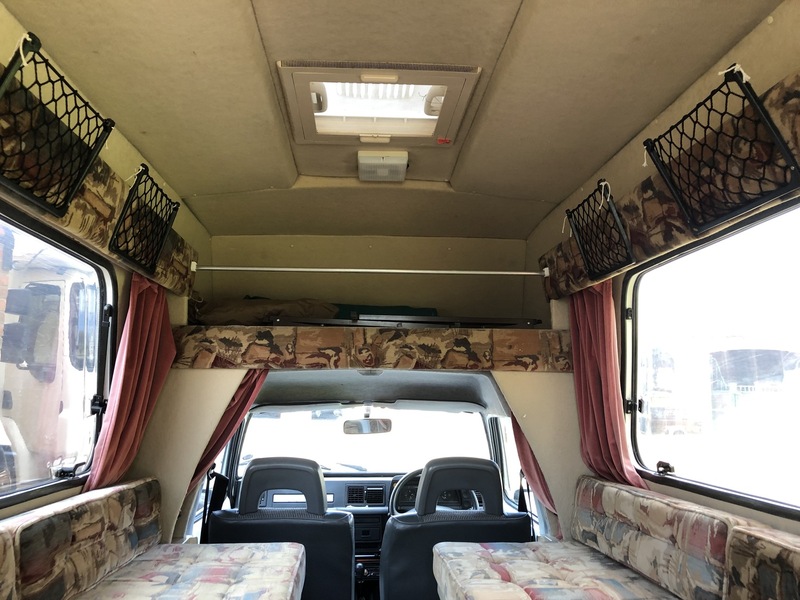 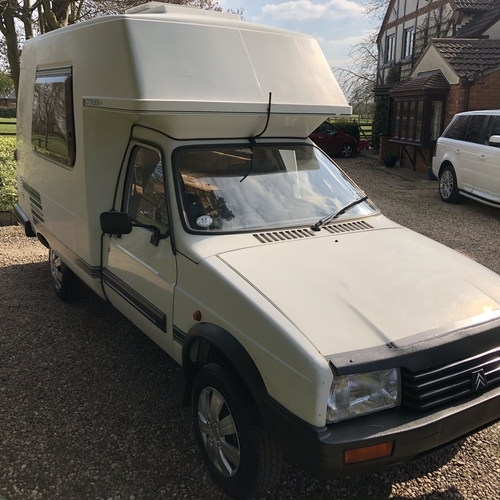 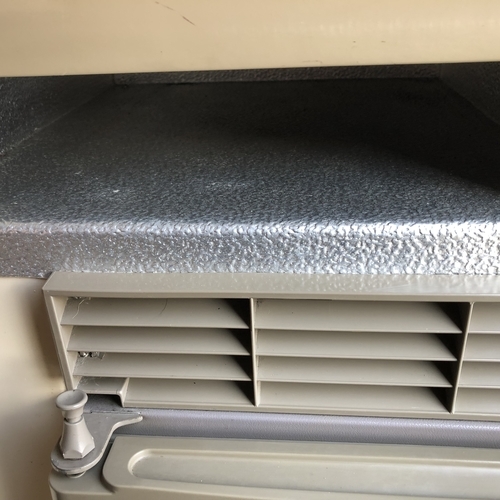 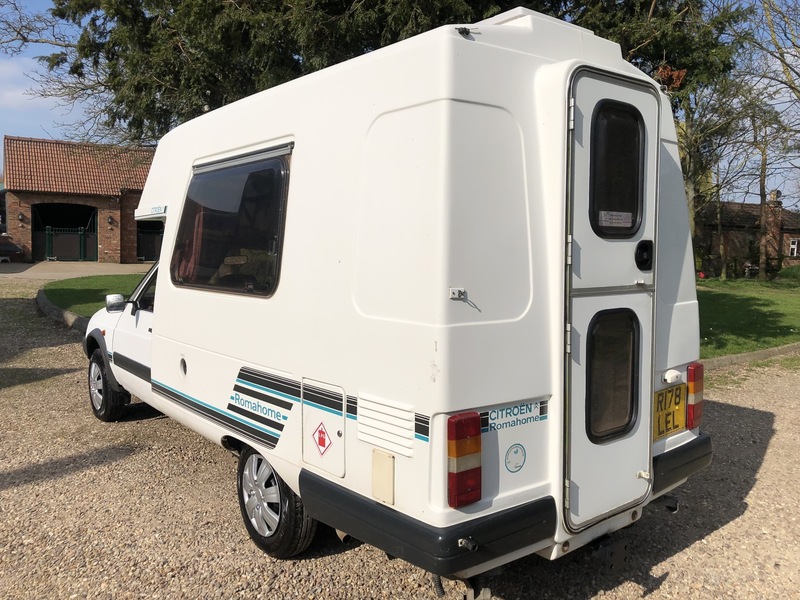 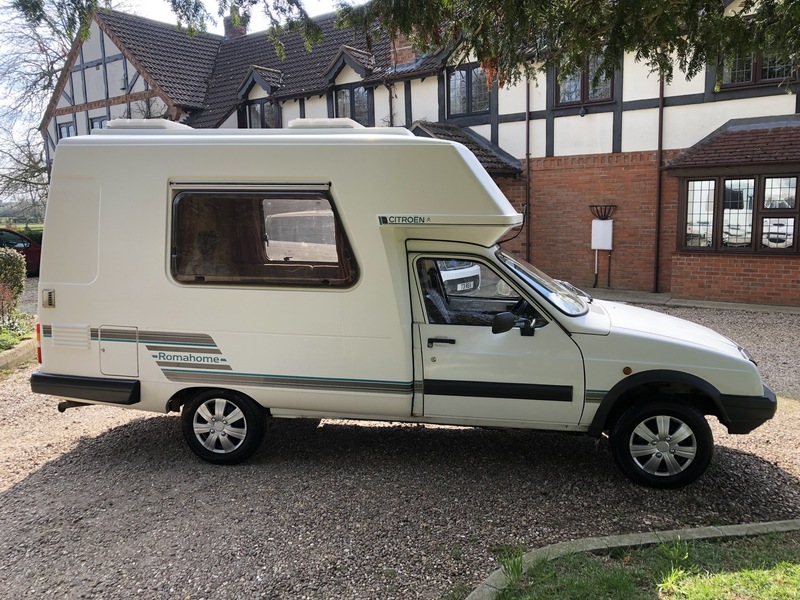 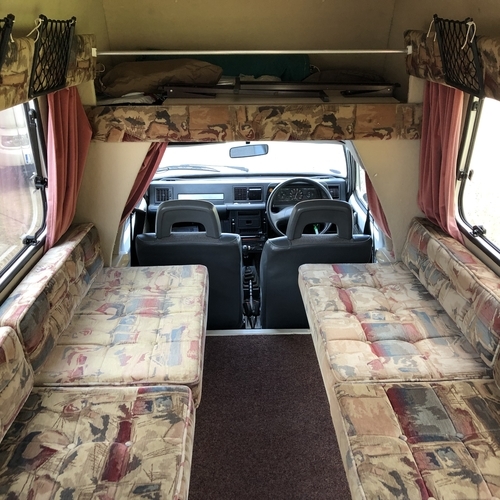 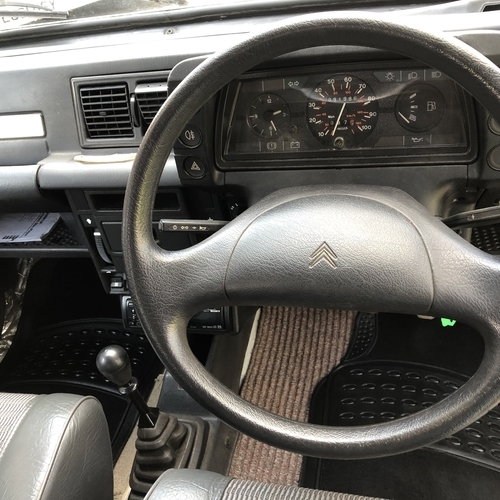 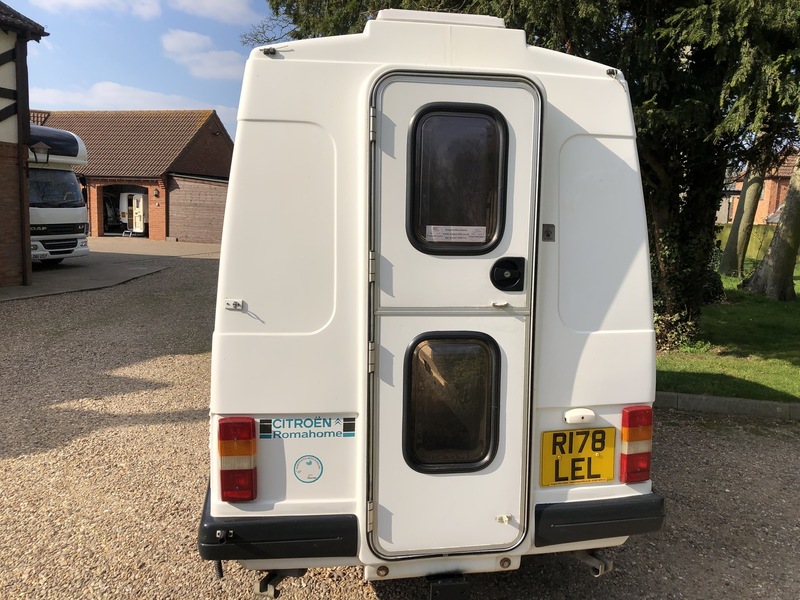 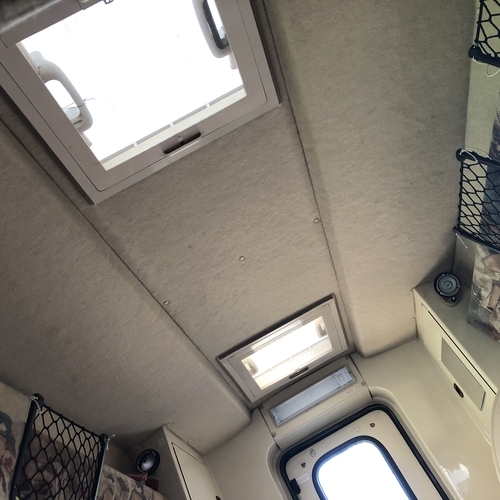 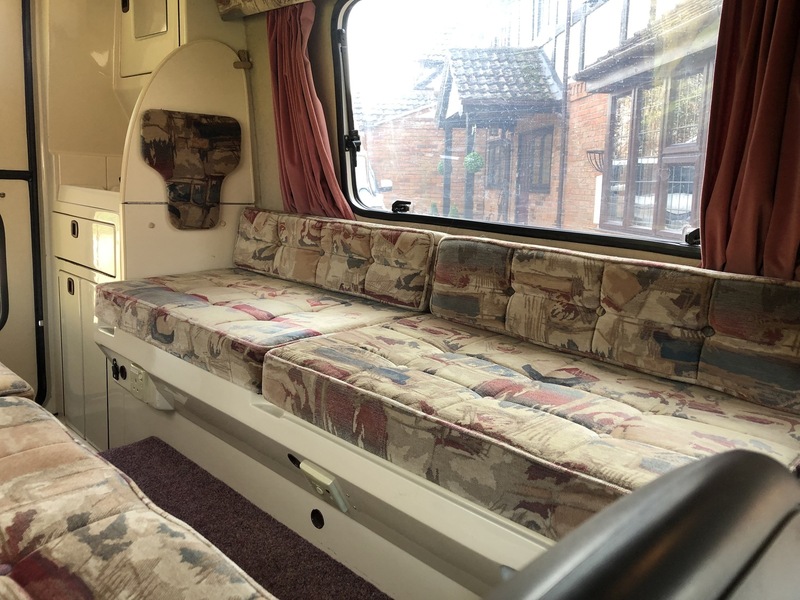 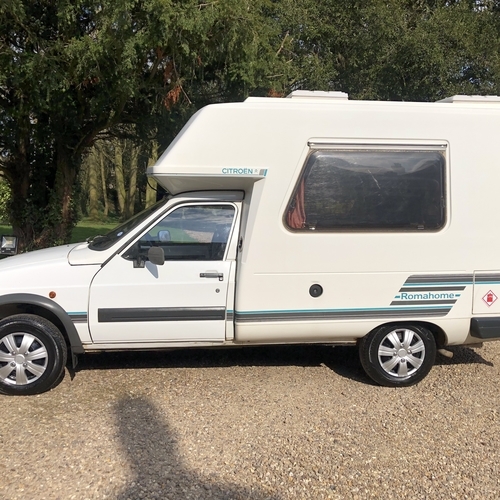 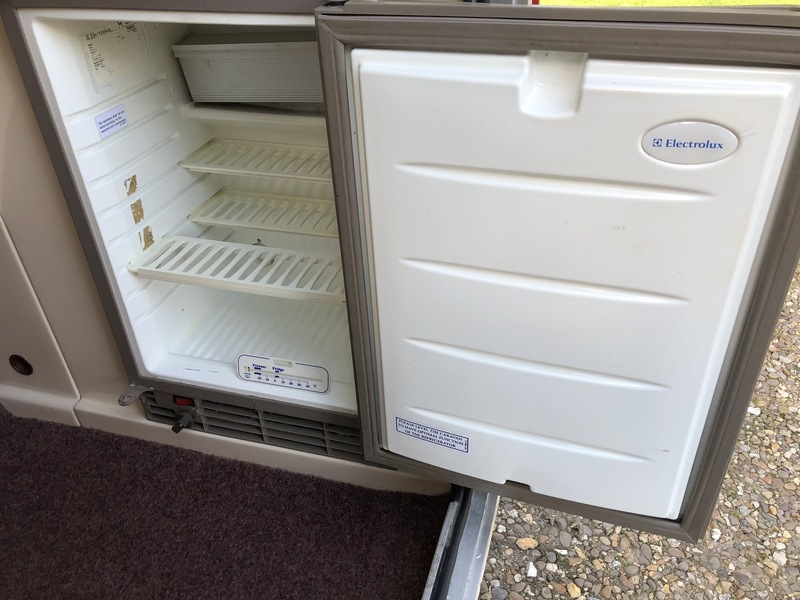 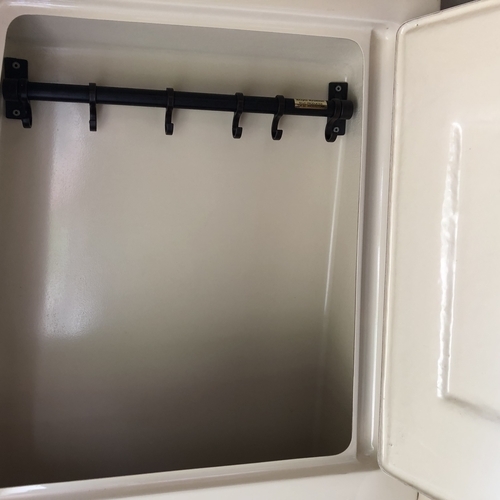 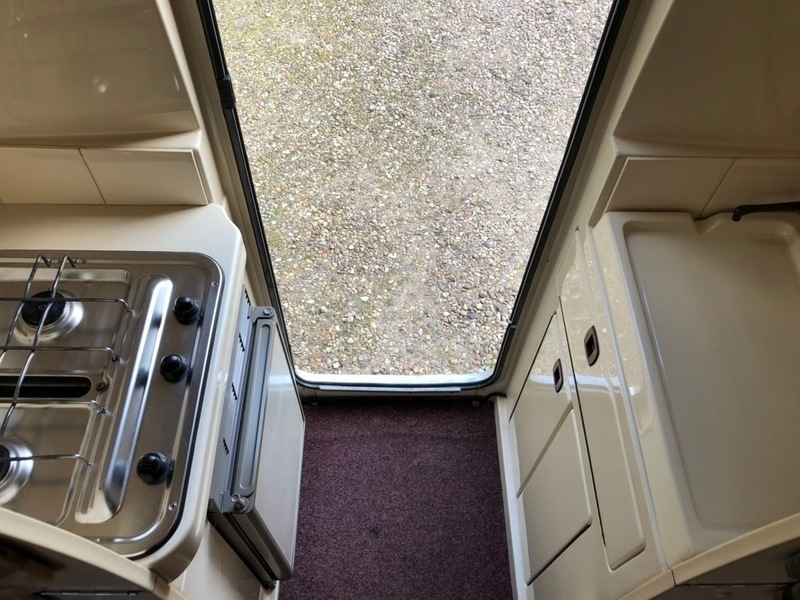 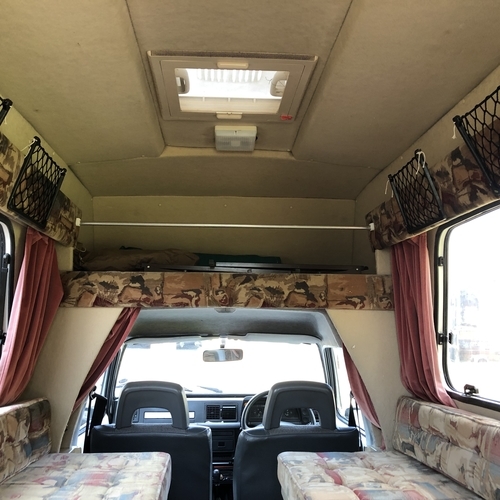 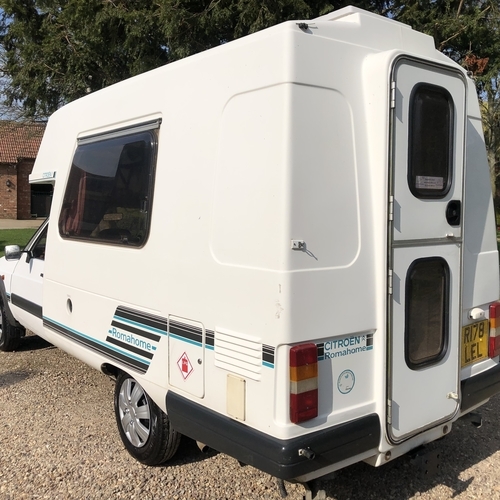 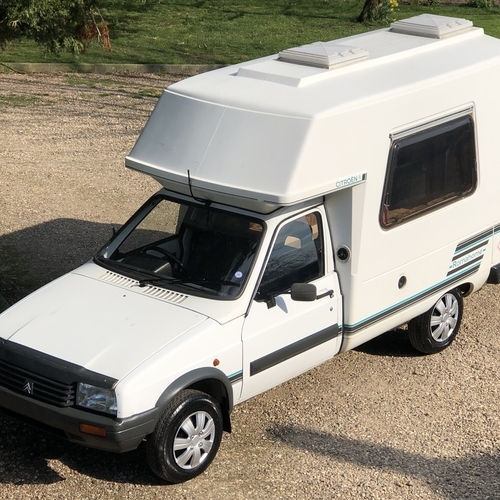 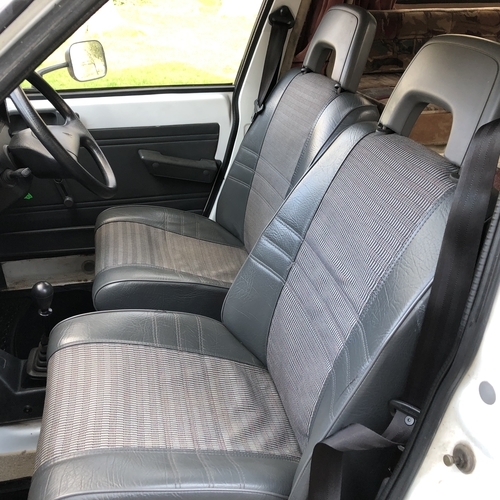 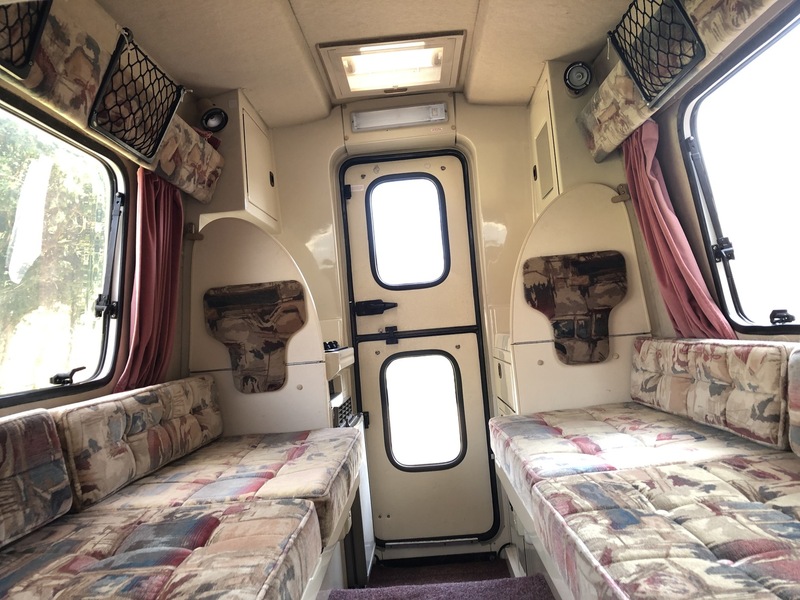 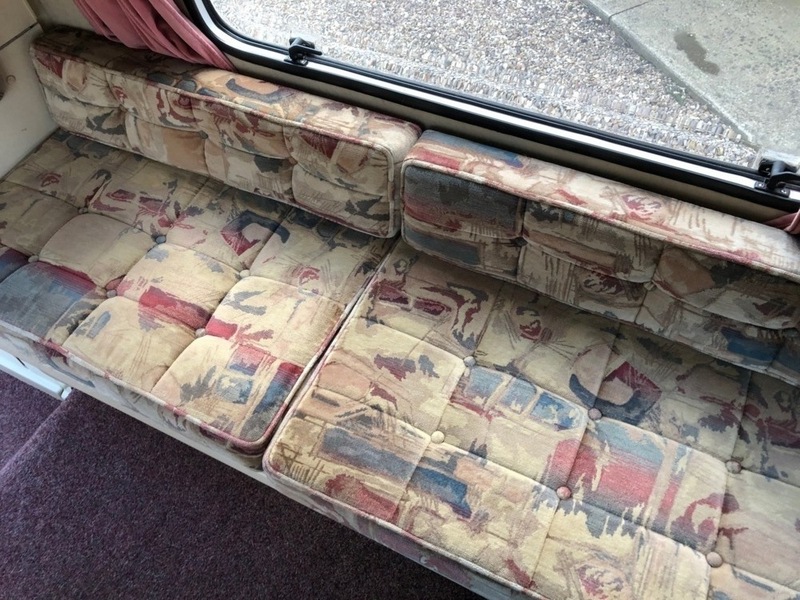 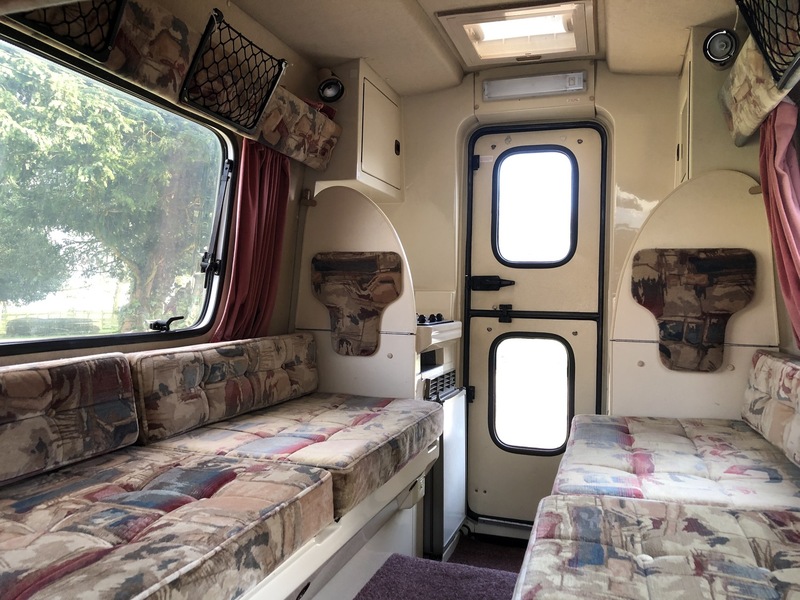 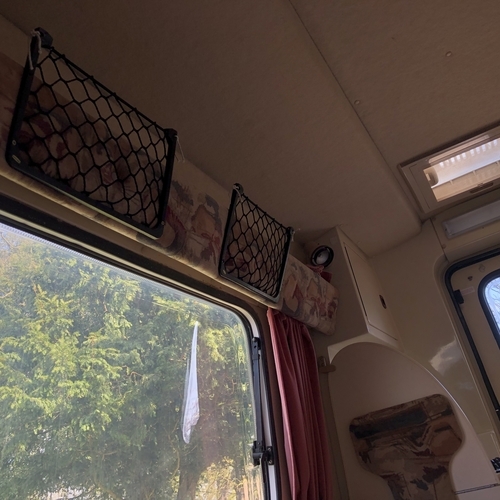 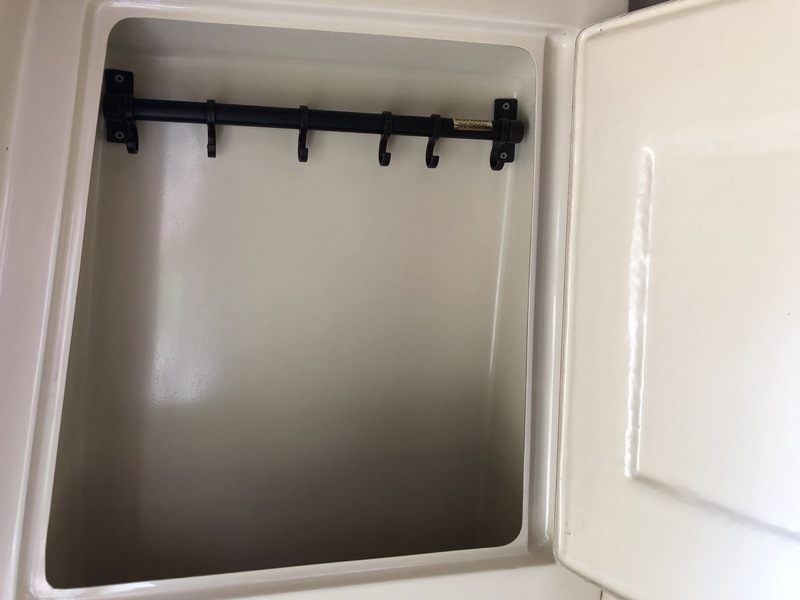 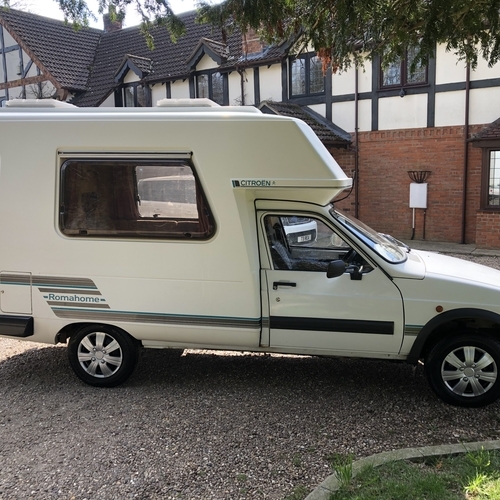 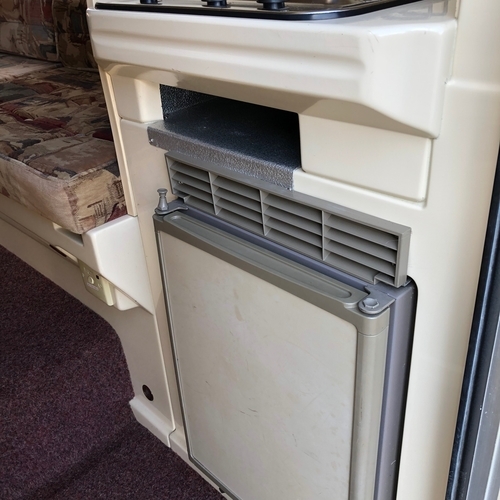 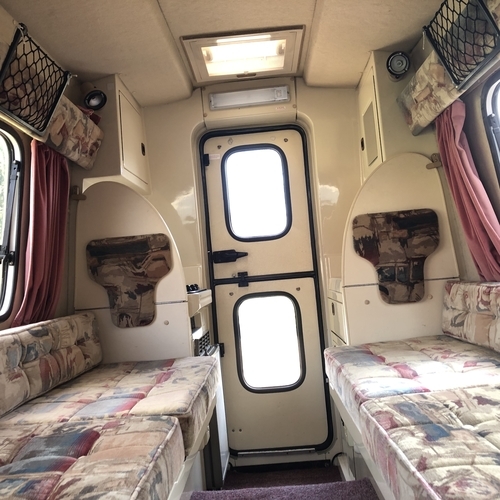 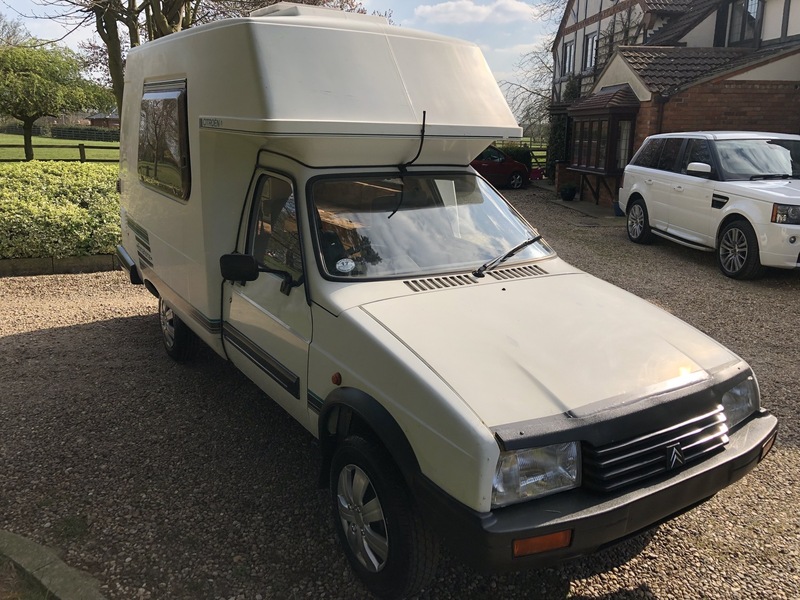 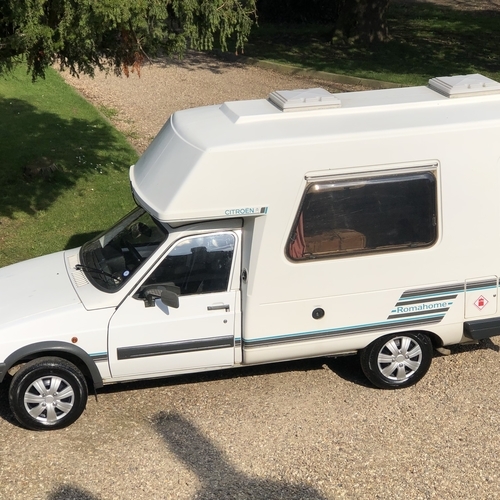 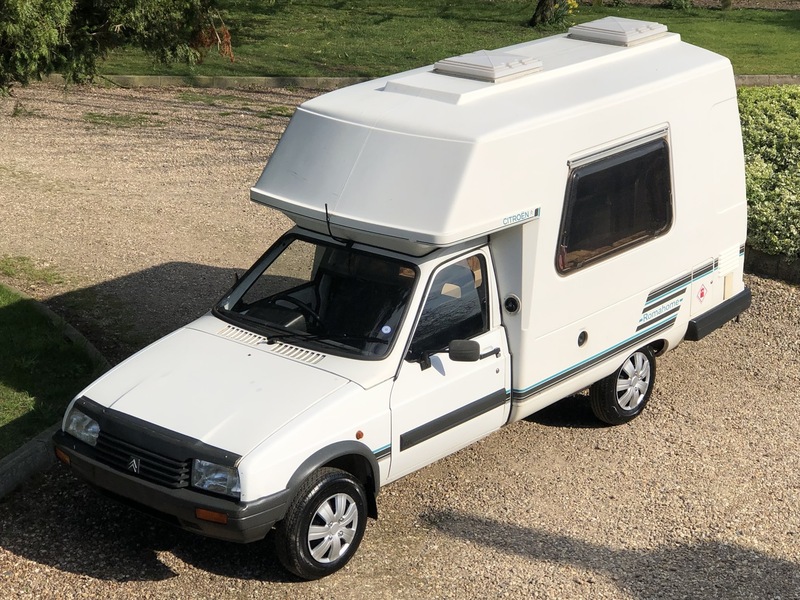 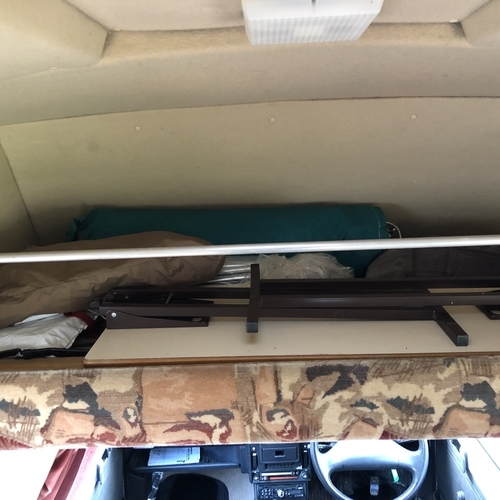 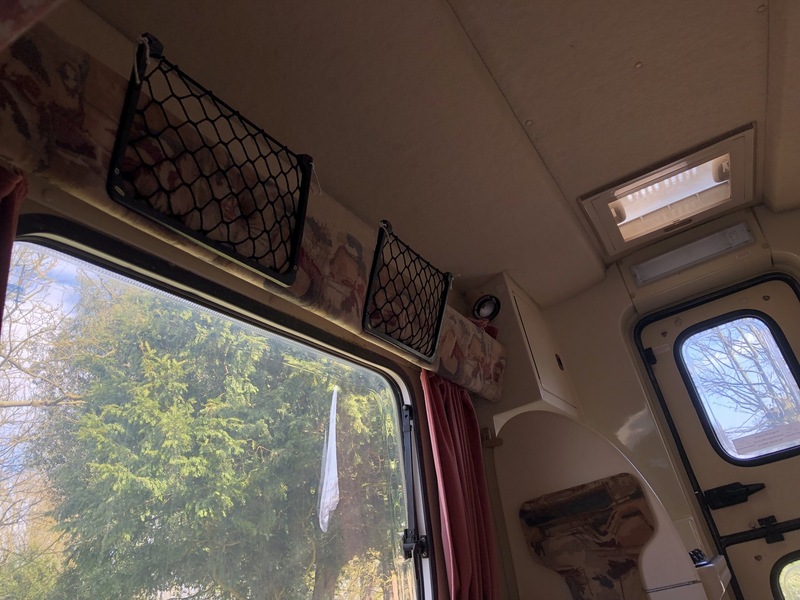 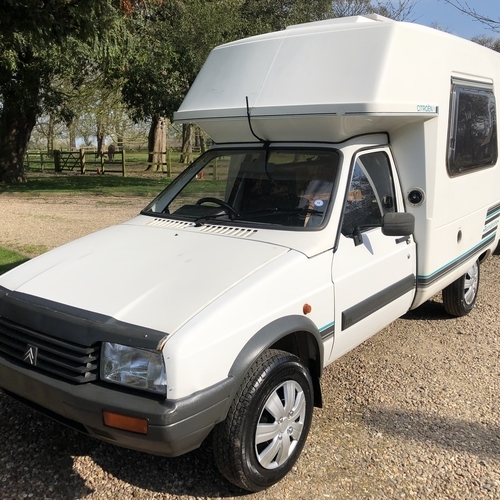 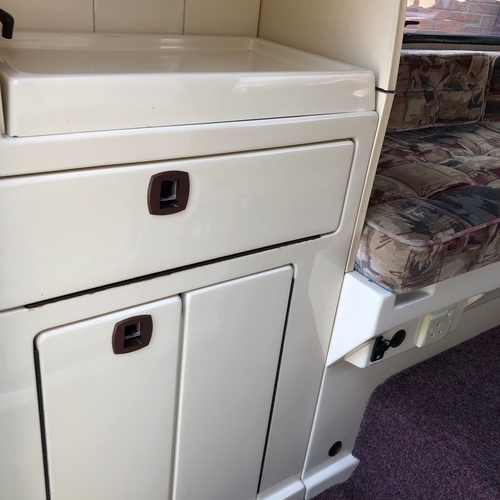 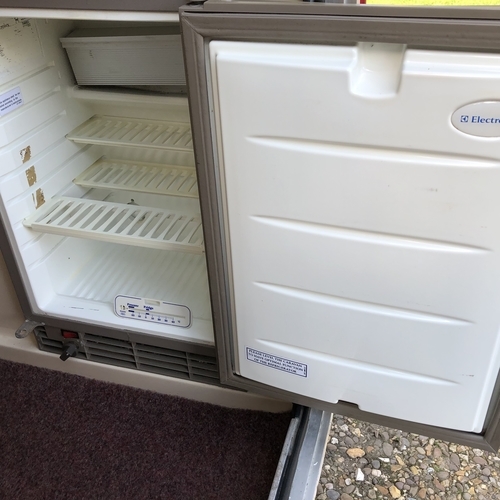 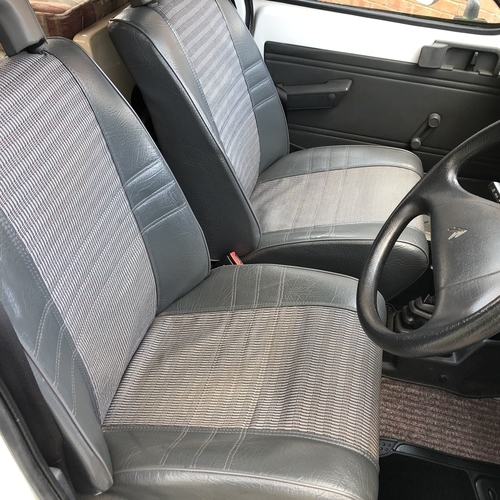 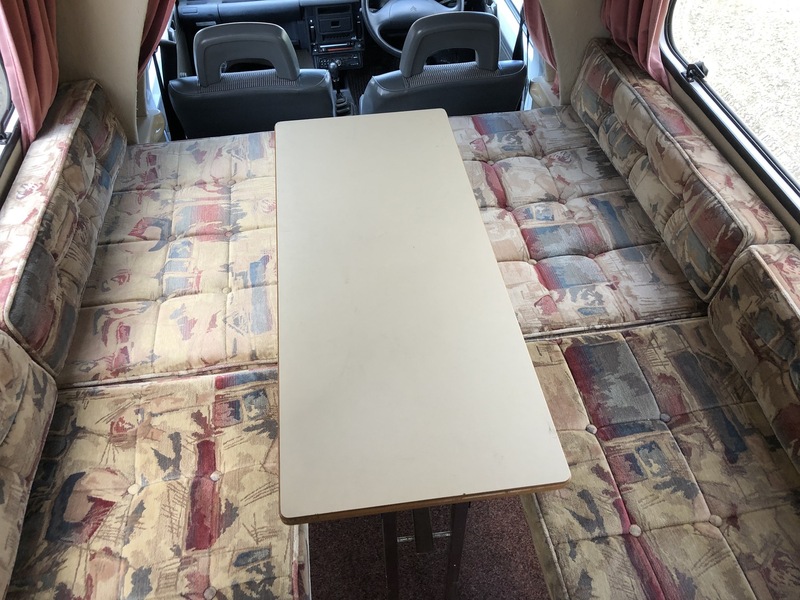 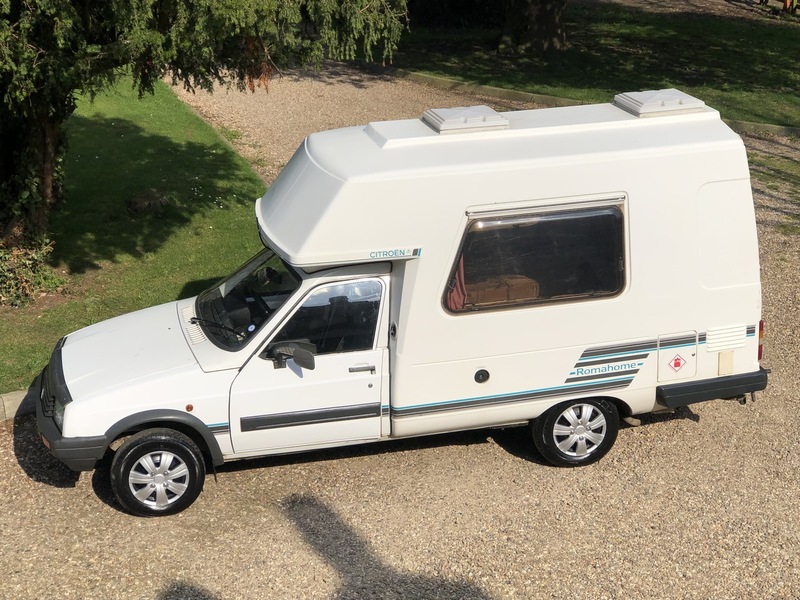 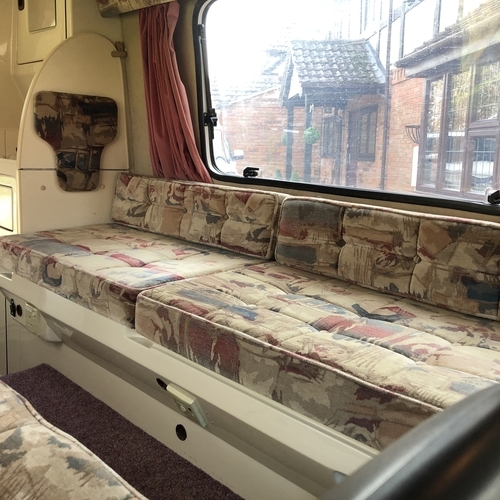 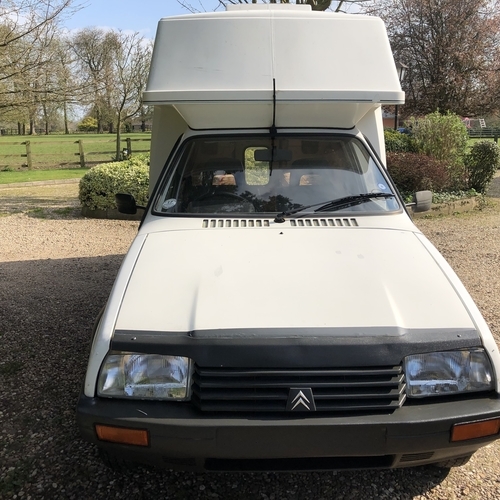 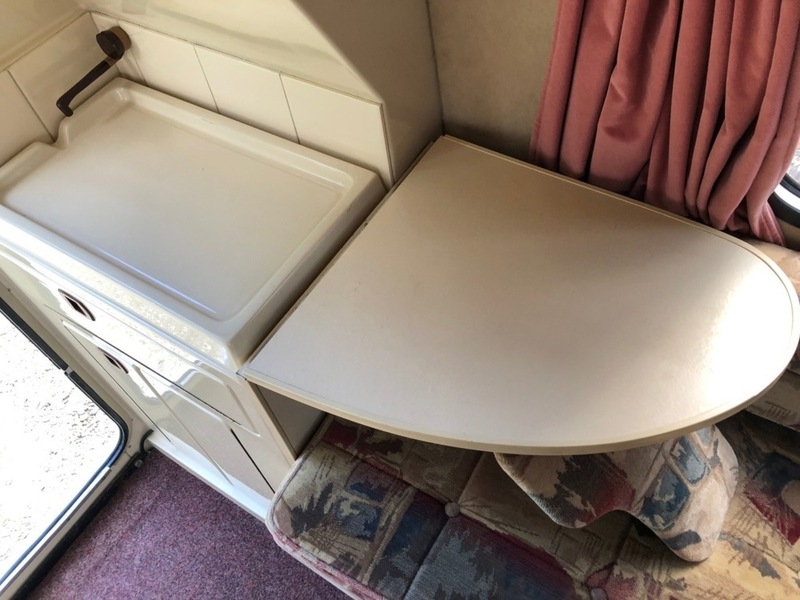 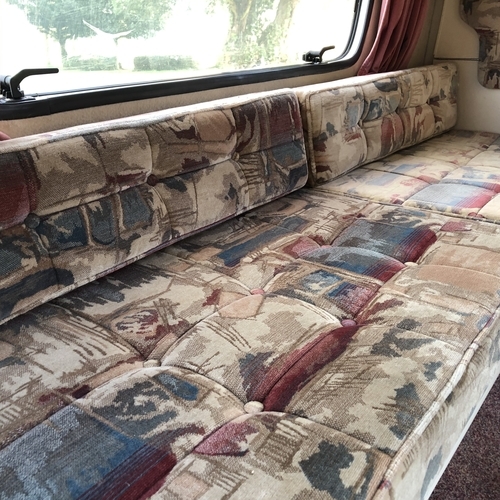 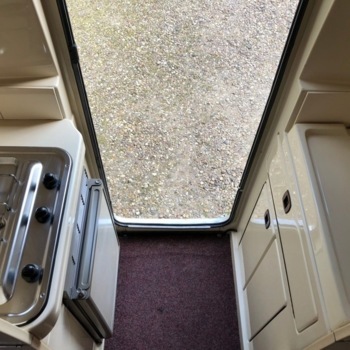 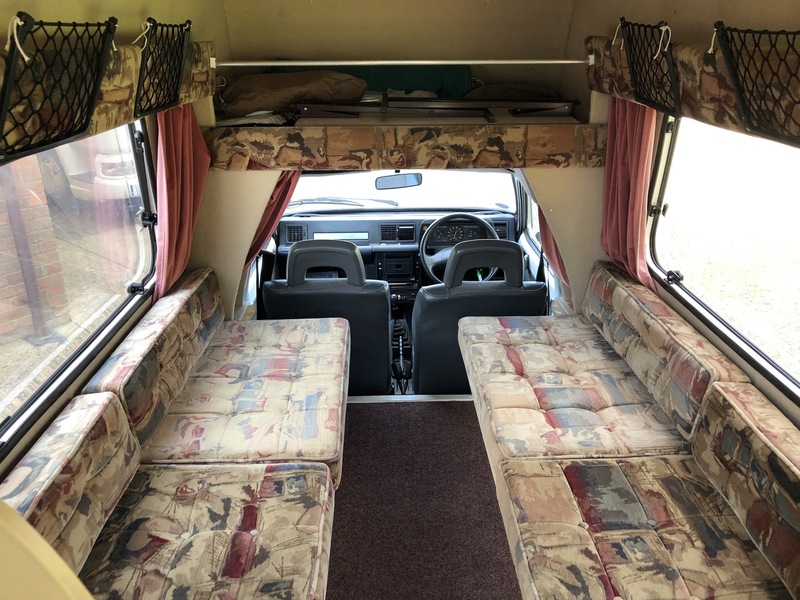 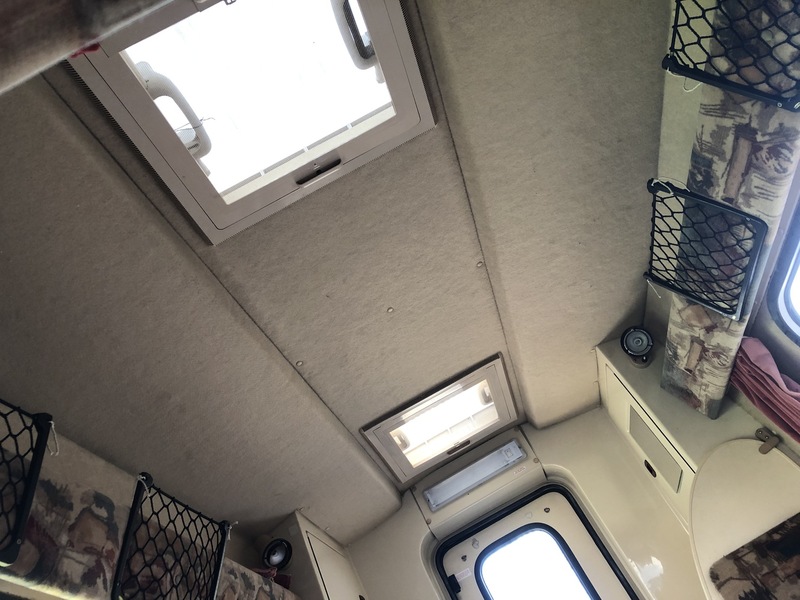 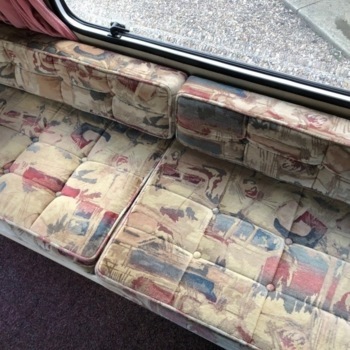 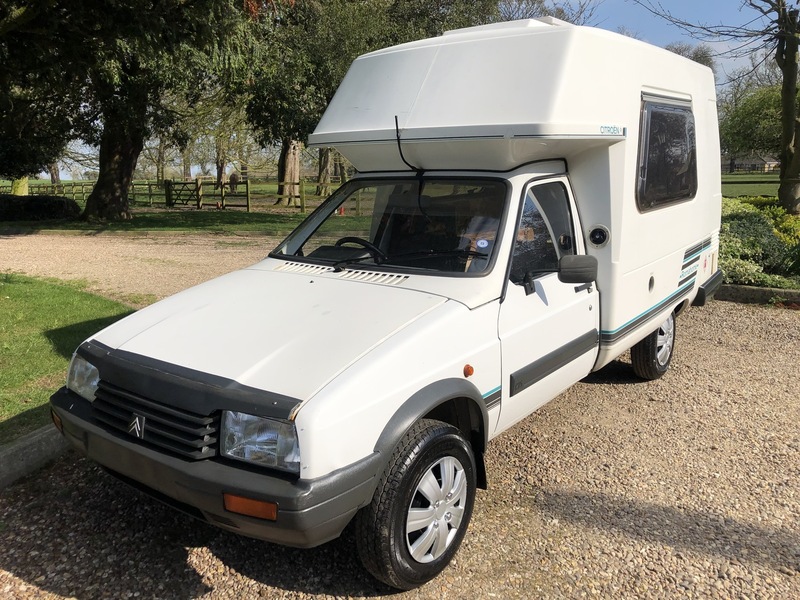 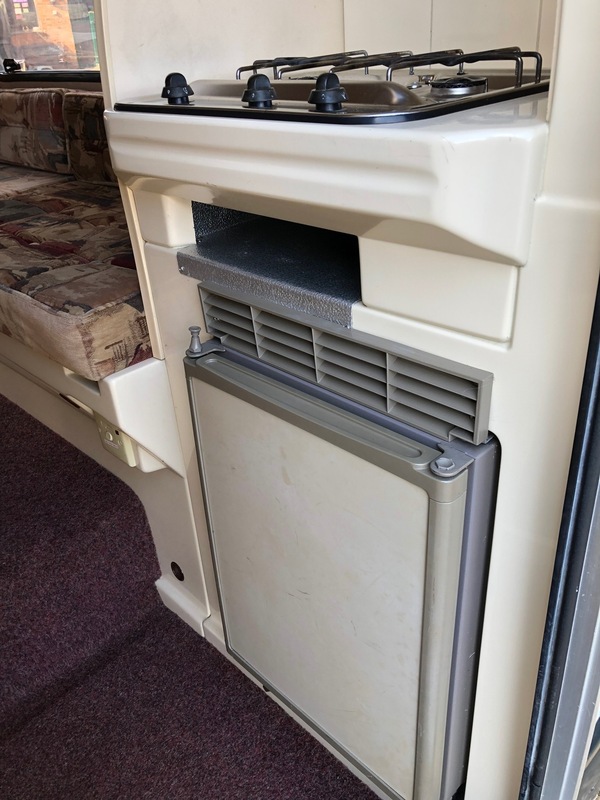 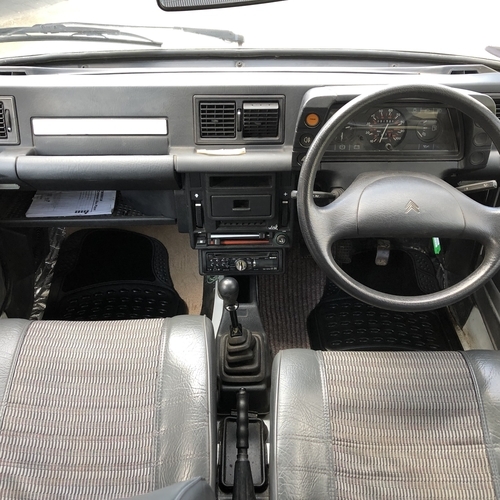 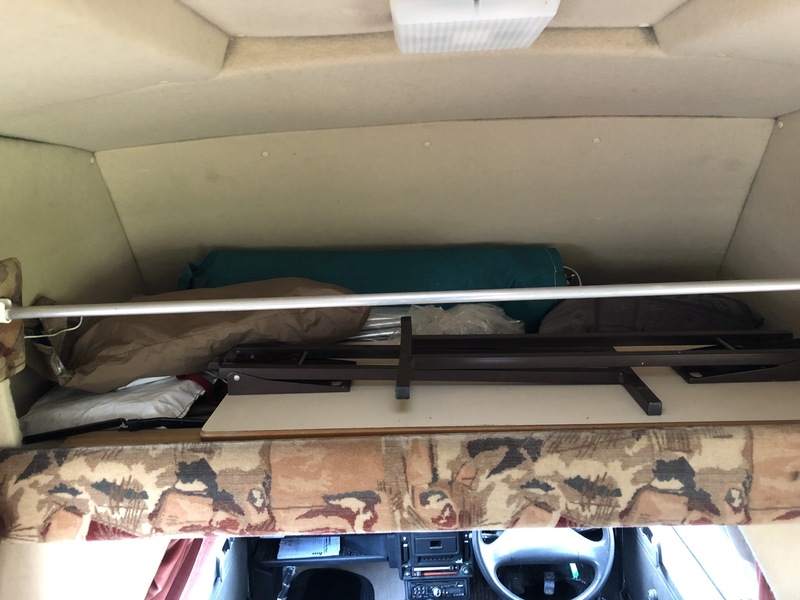 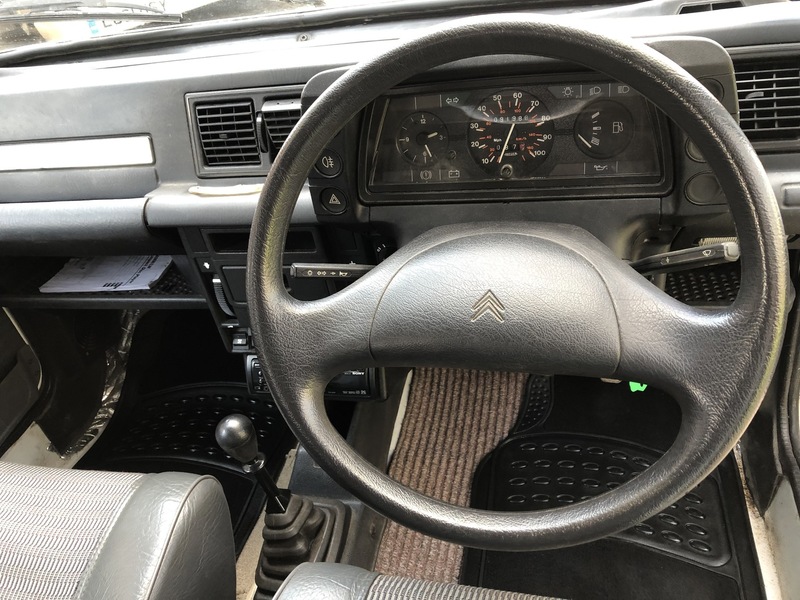 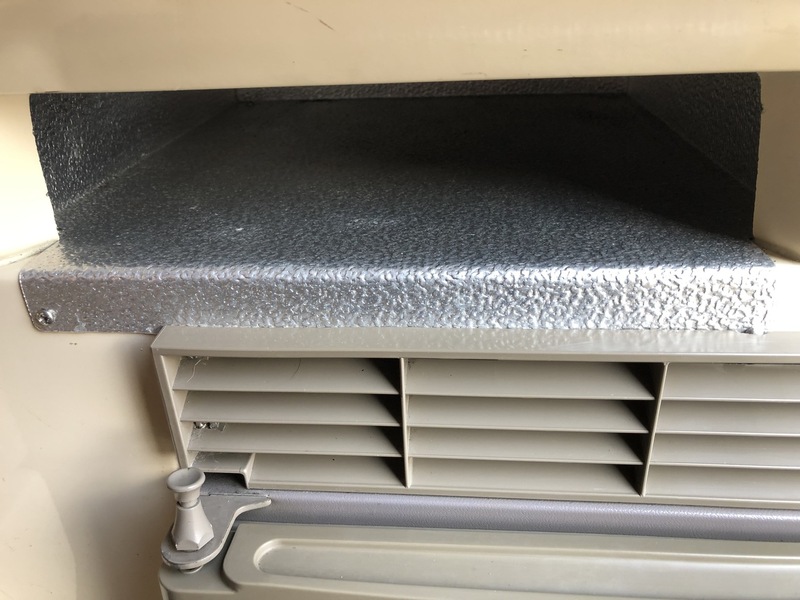 As you can see from the images this is a lovely clean little camper van HOWEVER let's not forget the fact that it is over 21yrs of age and as such it understandibly has wear and tear commensuare with it's age. 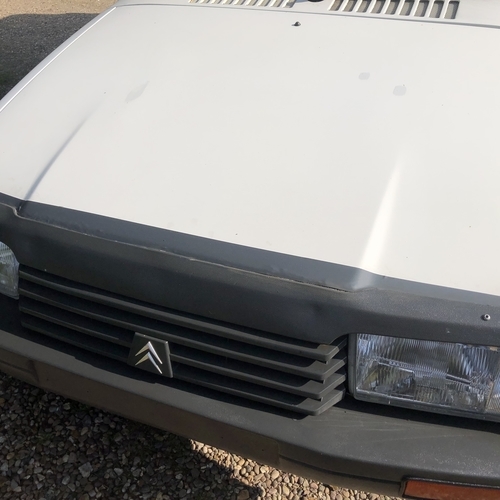 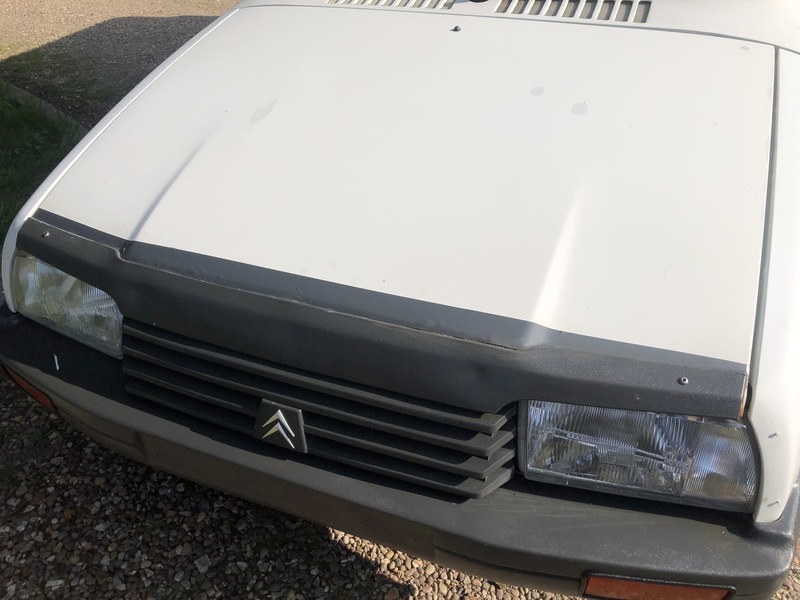 The bodywork is actually in unusually good condition for a C15 however the bonnet looks to be original and as such has suffered from corrosion underneath which has started to bubble through on the front edge, it has had a decal/stripe put over this edge which helps a lot however in the next few years it may be advisable to replace the bonnet. 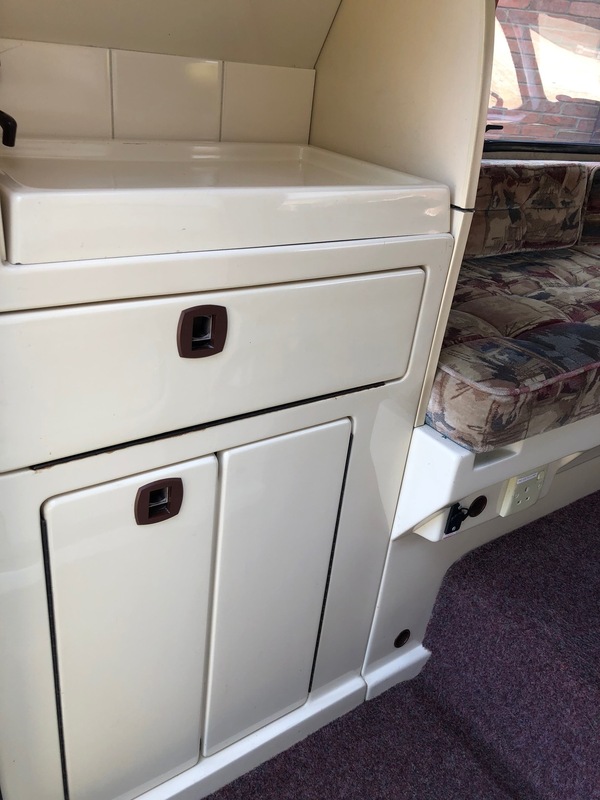 Anyone who knows these fantastic little campers will tell you that the bonnets/doors etc are prone to corrosion. 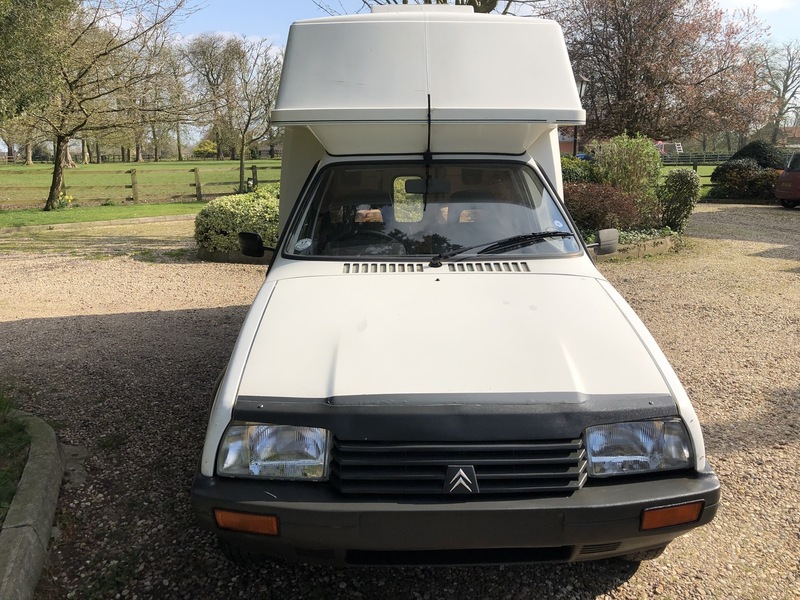 The doors etc are excellent on this one.